A concerned citizen filed a 311 complaint about an Ant bike with no wheels on Topeka Street at Southampton. 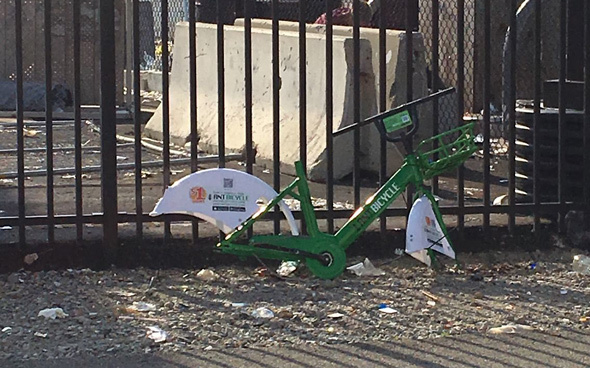 Dockless bike sleeps with the fishes in East Boston. Boston Police report arresting Jeremy Correa on charges he fatally stabbed Edward Sanchez, 50, at the Southampton Street Shelter yesterday. Read more. Boston Police report a man in his 50s was found stabbed at 112 Southampton St. shortly after noon. He was taken to a local hospital, where he was pronounced dead. Read more. NBC Boston reports on a 100-gallon spill this afternoon. UPDATE: Victim identified as Carlos Montalvo, 33. Boston Police report a man was shot around 6:40 a.m. at Southampton and Topeka streets. The victim, in his 30s, was taken to nearby Boston Medical Center, where he was pronounced dead. The Boston City Council agreed today to hold a hearing on the recent decision of the Boston Public Health Commission to shutter two programs, with a total of 40 beds at the Southampton Street shelter, aimed at helping homeless people - in particular those who are HIV positive - gradually reenter society. Read more. 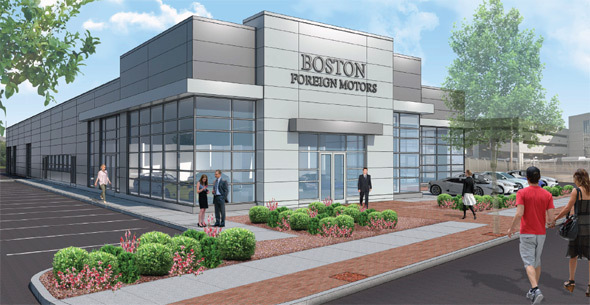 Waldo Bros., which has sold building supplies since 1914 on Southampton Street, will be replaced by a car dealership specializing in used luxury cars according to plans filed with the BRA. Read more. Several city councilors say they're not opposed to medical marijuana but that Southampton Street is just the wrong place for one of the two dispensaries provisionally approved by the state because it's already in the middle of an area with large methadone clinics, a jail, trash-transfer facilities and the BU biolab. And at a hearing today, councilors expressed major disappointment in state officials, none of whom showed up.